Have you ever left your house before your family has agreed upon a place to eat and you end up on Commercial Street hoping that a new restaurant will appear and save the day? You drive through downtown and nothing seems to motivate you to pull over and eat. So you head back down Commercial, hungrier than ever and now you're just hoping for any place that will seat you right away and have crayons for the kids to color. It's usually not a first choice but Rock-N-Rogers on Commercial Street near the old Safeway, is always a great backup plan for dining in Salem with kids. It's kind of a greasy dive, but the portion are large and they have great deals for breakfast, lunch and dinner. My favorite thing on the menu is the Chili Cheeseburger with onions for $7.99. Served open face, the chili covers the huge 1/2 lb burger, the bun and almost spills off the side of the plate. This is the best chili cheeseburger I've ever eaten. The chili would be a great meal by itself but sometimes you just have to indulge yourself. What the heck, I'll be walking all night on Halloween. Most of the items on the menu are grilled or fried. If you are looking for something light, they do have a selection of salads and wraps, but even some of those are pretty heavy. One good option is the Classic Baker and Salad or Soup combo for $6.99. It's served with a scoop of whipped butter, on the side, that is about the size of your fist. And since you've gone this far off the diet you might as well order a strawberry shake made with fresh fruit. The whipped cream on top is optional, not an option I ever refuse. The dining room is diner decor and comfortable with lots of booths and the music is great if you like 60's rock and roll. Breakfast is served all day and the pancakes are huge. If you want an outstanding chili cheeseburger, head for Calamity Jane's up in Dundee on Hwy 99W. So, it looks huge, and you say it's the best. Do you think they make their own chili, or is it canned? Because to be an excellent Chili Burger, you need excellent Chili! Our dinner at Rock-N-Rogers on South commercial will be our LAST Dinner there for awhile. The food arrived cold, asked for a reheat and was reserved cold. We asked for water from 3 different servers and finally some on the 4 request, we got it. AND the place was not crowded. No Management was on duty when we asked! Food is realllll average, and the waitstaff always seem to be bothered to help you. This is a really a great concept restaurant that is not run real well. I rate their burgers a 4 of 10. If you are starving and there is nowhere else to go and you find yourself here, I suppose it will do. Otherwise try the burger basket. I've had a chocolate shake there, and it was nothing to write home about. Actually, it's hard to get a shake wrong, but it was one of the worst shakes I've had out. My wife and I only go here when we're in the mood to be really "bad" and grease up our innards. Went there recently, looks like they updated some of the staff since I was last in, they were all very polite! I ordered an Oreo shake and a breakfast combo. The shake was AWESOME! OMG! Totally worth the $6.00! My egg I ordered "w/o the yolk"
My "date" was very happy w/ his chicken tenders. Then I had a chicken burger the other day; stay away from the fries if you don't like grease! The burger was great, however. We LOVE Rockin Rogers on Commercial! Deb is a great manager and Tom is also!! Dillon, Patrick, Kelsey, Sally, Renee, Carrie, James and the rest of the crew are the best!! They all go out of their way to help and have the customer's needs no matter now small. Thanks for all you do and keep up the good work!! Best peanut butter-chocolate milkshake ever!! All of the people at Rockin Rogers are nice, yes they are very busy on the weekends and that should say a lot about the food.......if it wasnt good why would they be this busy????? The management is very good and friendly, we will continue to go to Rockin Rogers!! The one in Plano, TX is opening up on April 6. Can't wait!!! Good food, but the young waitress talked to the table next to me for about 20 minutes while I waited for water, maybe a friend of hers?? Don't think I'll be going back any time soon. Love the fries there. Service has been terrible in the past but the last few times we were there it was just fine. Great breakfast deals too. They need to redo the booths though. Shouldn't have to sit on duct tape. hey everyone the one is plano,tx is the best! the shaker up there named keith is good at his job. he can make you any kind of shake. anyway there has been alot of changes there in the past few months. well yes the first few months that it open it is slow and people still get everything down to the tee. so maybe everyone that has had a bad day there could come back and try them again. people out. We love the family atmosphere and food is good and filling. Thanks for all of the things you do, just goes to show you that fabulous management and crew and great food........WONDERFUL!!!!!!!! I dined at the Commercial street restaurant a couple nights ago, everything at OUR table was fine, but I overheard a waitress make a extremely inappropriate comment to a girl dinning there. Commenting on how much your customer eats is NEVER okay! This "Tom and Deb" may be great servers, but one bad apple spoils the bunch. Obviously management there doesn't "manage". Have given Plano a few chances, not impressed. Management is too quick to comp out food with no regard to customer service. Yes, lady manager smelled badly of smoke and I heard some innappropriate comments made about other staff, can't believe she talks about people like this. Also, a big big bug issue, my friend had a live bug in her burger! Server Ryan tried to make ammends but what can you do. Shakes are awesome, but servers and staff tend to be a little dead, most likely managements fault if they treat employees this way. Moo-Ya down the street is a bit more cordial and experienced. Also better service at Wendy's or Whataburger on other side of street. Opt out of this one, can't shine a t***! Rockin Rogers is a '50s style burger joint. I eat there at least once a month at the south restaurant. I have really liked everything I have ever eaten at one of these restaurants. Any request I have ever made was done in a timely manner by a friendly employee. Myself and a group of fifteen or so friends meet there every month. The food at the South Salem Commercial street Rockin Rogers is pretty good. The breakfast is better then the dinner. Hamburgers always seem way to dry for me. My biggest problem with this location is the customer service is terrible. I had a problem with my food, Waitress put in the wrong order. When I asked her to fix the problem she seemed very put out by this. When I asked her, her name she seemed annoyed , like I didn't have a right to ask her. Were are the name tag people, she finally answered my husband and said her name was Kris? We never did find out if she was telling the truth. When we talked to the girl at the front counter, she told us there is know point in complain, since she is friends with the boss. We will not go back there because of the terrible services. I can't believe I haven't weighed in on this one here! These are among the few places I've completely eighty sixed! The service at the Commercial SE and West Salem locations ranges from abysmal to outrageous. I've been ignored, endured surly treatment, had orders delivered completely wrong, when I finally got them, and lied to. To say it's slow would be kind. 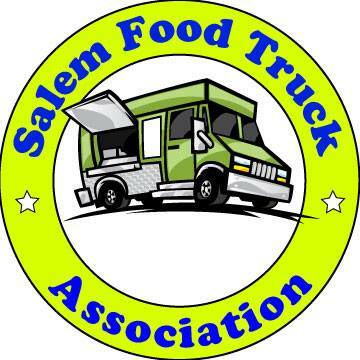 (How about 1 hr 33 min from order to presentation on my last visit to W. Salem? After an hour of assurances that my order would "be right out", the owner admitted that he had failed to give it to the cook!) I have not been to the Market Street location since the ownership change, but how goes the captain so goes the ship. I have never had an issue with the food. It's typical diner fare. No better and no worse many other places you've been. Saying “never” is ill advised, but I have no present plans to return to any R n R location under current ownership and staff. Well….. It was a fairly short version.